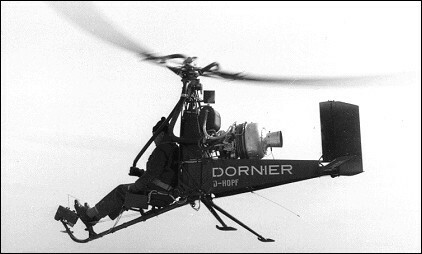 The Dornier Do.32 was one of the first helicopters designed and built by the German helicopter industry after the war. It was a small, ultra-lightweight single-seater which could be carried in a container of modest size, measuring 3.8m long and less than 1m wide. The container was fitted with wheels, could be towed by an ordinary motor car, and also served as a take-off and landing platform. The mini helicopter could be assembled in just five minutes. The Do.32 was powered by a 100shp BMW 6012 turbine which drove the rotor through a cold cycle. The prototype was tested on 29 June 1962 and completed the test programme in mid 1963, when the German company displayed a second model at the Paris Air Show. 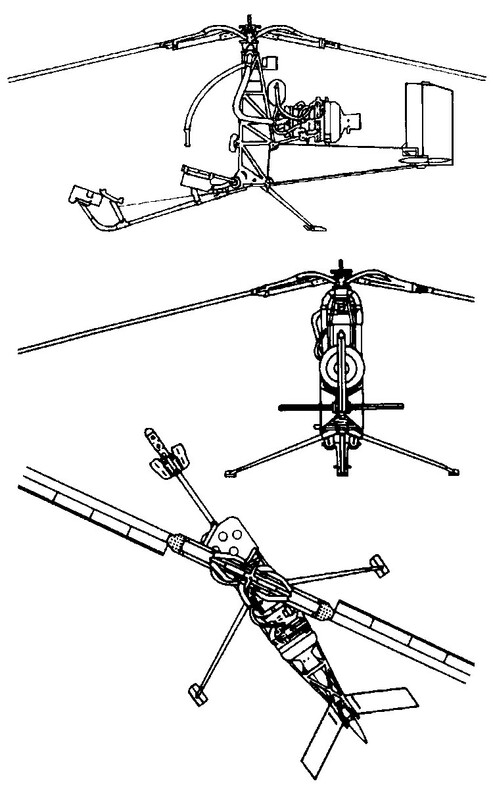 A few others were built but the two-seat derivative (with a 250shp turbine) offered to the German government was not adopted.